The Gorakhpur and Phulpur bypolls will be seen as a referendum for Yogi Adityanath as he has been a five-time MP from the temple town. BJP has a stronghold on the seat where it has been in power since 1989. Phulpur, once the bastion of the Congress, witnessed a saffron surge in the 2014 Lok Sabha election, when Keshav Prasad Maurya won the seat. Uttar Pradesh Chief Minister Yogi Adityanath did not leave any stone unturned to retain the Gorakhpur Lok Sabha Assembly seat for the Bharatiya Janata Party. However, in the 2018 bypolls in Gorakhpur and Phulpur, the BJP is facing a tough fight. The Samajwadi Party is leading in both the Lok Sabha seats as per the latest trends. The bypolls were necessitated after Yogi Adityanath and Deputy Chief Minister Keshav Prasad Maurya vacated the Gorakhpur and Phulpur Lok Sabha seats respectively, following their election to the state legislative council. The elections are being seen as a referendum for Yogi Adityanath as he has been a five-time MP from the temple town. BJP has a stronghold on the seat where it has been in power since 1989. Phulpur, once the bastion of the Congress, witnessed a saffron surge in the 2014 Lok Sabha election, when Maurya won the seat. The saffron party has fielded Kaushalendra Singh Patel from Phulpur and Upendra Dutt Shukla from Gorakhpur against the SP's Pravin Nishad and Nagendra Pratap Singh Patel respectively. Sureetha Kareem is the Congress candidate from Gorakhpur. The party has fielded Manish Mishra from Phulpur. Akhilesh attributes SP wins to the support from Dalits, farmers, labourers, women and unemployed, says "it is the victory of social justice". I want to thank BSP leader Mayawati for her support on both Lok Sabha seats, says SP chief Akhilesh Yadav. Samajwadi Party's Praveen Kumar Nishad wins by 21,881 votes. SP's candidate Pravin Kumar Nishad wins Gorakhpur Lok Sabha seat. Excess of self-confidence could be one of the reasons for the loss, says Yogi. We accept the verdict of the people, this result is unexpected, we will review the shortcomings. I congratulate the winning candidates, says UP CM Yogi Adityanath. Polling percentage has gone down which affected the result of the two seats. We will analyse and work on the places where we lacked and will work harder and perform better in the 2019 elections, says Mahendra Nath Pandey, UP BJP chief on bypoll results. Congress candidates from Phulpur and Gorakhpur Lok Sabha seats have lost their deposits. Samajwadi Party's Nagendra Pratap Singh Patel wins Phulpur Lok Sabha seat by 59,613 votes. Phulpur - SPs Nagendra Pratap Singh Patel leading by 57,148 with 3,37,683 votes, BJP's Kaushlendra Singh Patel second with 2,80,535 votes after 31st round of counting. Phulpur - SP's Nagendra Pratap Singh Patel leading by 47,351 with 3,05,172 votes, BJP's Kaushlendra Singh Patel second with 2,57,821 votes after 28th round of counting. Gorakhpur - SP's Praveen Kumar Nishad leads by 25,870 votes with 3,34.463 votes, BJP's Upendra Dutt Shukla second with 3,08.593 votes after 22nd round of counting. Phulpur - SP's Nagendra Pratap Singh Patel leading by 38,498 with 2,71,752 votes, BJP's Kaushlendra Singh Patel second with 2,33,254 votes after the 25th round of counting. Celebrations have begun at the SP headquarters in Lucknow. SP supporters were seen cheering with slogans of 'Bhua-Bhateeja zindabad' and playing with colours to celebrate the victory. As election results show that Gorakhpur and Phulpur are slipping of the BJP's hands, party president Amit Shah was seen arriving at the party headquarters in Delhi. SP candidate Nagendra Pratap Singh Patel leading by 20,495 votes in Phulpur after 14th round of counting. In Gorakhpur, Praveen Nishad of SP extends margin by 14,648 votes in Gorakhpur over BJP at the end of ninth round of counting. SP's Praveen Kumar Nishad is leading with a margin of 10,598 votes in Gorakhpur. He has got 1,19,427 votes, while BJP's Upendra Dutt Shukla is at the second spot with 1,08,829 votes after the eighth round of counting. In Phulpur, Samajwadi Party's Nagendra Pratap Singh Patel is leading with a margin of 15,713 votes. Nagendra Patel has got 1,22,247 votes, while BJP's Kaushlendra Singh Patel is at the second place with 1,06,534 votes after the 11th round of counting. UP CM Yogi Adityanath has been pushed to the back foot as SP has taken a big lead in the Gorakhpur Lok Sabha byelections. After seven rounds of counting SP candidate Pravin Kumar Nishad is leading by 9,446 votes against his nearest rival and BJP candidate Upendra Dutt Shukla. After seven rounds of counting, the SP is leading by 9446 votes in Gorakhpur. While the SP candidate has received 1,05156 votes, BJP has 95,690 votes. The SP has now taken a lead in Gorakhpur. It is already leading in Phulpur. It will be a huge setback for the BJP if it manages to wrest both the seats away from the BJP. Despite the SP leading in Phulpur, UP Deputy CM Keshav Prasad Maurya has said that he is confident that the party will be able to retain both Phulpur and Gorakhpur Lok Sabha constituencies. "I firmly believe that we will win both Gorakhpur and Phulpur. SP is leading in initial rounds but a number of rounds are still left. I know the voters of that area, we will have a win with a comfortable margin of a lakh," Maurya said. Maurya, who had won the elections in 2014 had to vacate the seat when he was elected the Deputy CM of Uttar Pradesh. The Samajwadi Party has taken a considerable lead of nearly 7000 votes in Phulpur against the BJP. SP's Nagendra Pratap Singh Patel has won 54,562 votes, while his nearest rival BJP's Kaushlendra Singh Patel is trailing with 47,631 votes. After the fourth round also, BJP's Upendra Dutt Shukla has managed to maintain his lead. With 15577 votes, Shukla is at the first spot while SP's Praveen Nishad is at the second spot. As per reports, Gorakhpur DM Rajeev Rautela has barred the entry of media personnel at the counting centre and are asking them not to give live updates of the elections. While the results are likely to be a setback for the BJP in Phulpur, the party seems to be able to retain Gorakhpur. Here is the list of who is leading and who is trailing in Phulpur and Gorakhpur Lok Sabha constituencies in Uttar Pradesh. Fourth round of counting is underway in Gorakhpur and it seems the BJP will be able to retain this seat where Uttar Pradesh Chief Minister Yogi Adityanath has won the past 5 elections. BJP's Upendra Dutt Shukla is leading with a considerable margin against his rival from SP Praveen Nishad. The second round of counting is underway in Phulpur. The SP is maintaining its lead with party leader Nagendra Pratap Singh Patel bagging 22, 460 votes so far while BJP's Kaushalendra Singh Patel is trailing at the second spot with 21, 402 votes. In the first round of counting in Phulpur, SP's Nagendra Pratap Singh Patel got 12383 votes, BJP's Kaushlendra Singh Patel bagged 9906 votes and Independent candidate Atiq Ahmed won 2570 votes. Samajwadi Party candidate from Gorakhpur Praveen Kumar Nishad has expressed confidence of winning the polls despite the early trends ruling in BJP's favour. While counting is underway, Nishad raised questions on the EVM functioning of EVMs and said: "I am confident of my victory and that is what people are saying that SP's grand alliance will win this seat but there is a doubt in everyone's mind regarding EVM machines. The government can do anything using state administration." In Gorakhpur, BJP's Upendra Dutt Shukla is leading. 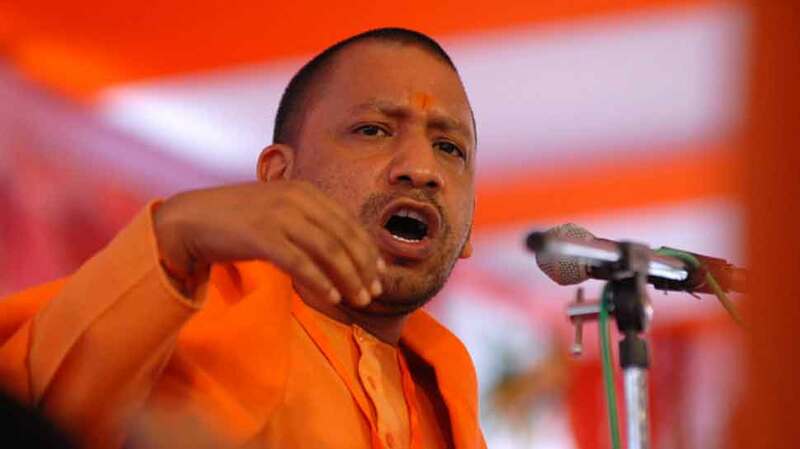 The seat, which fell vacant after the resignation of five-time MLA Yogi Adityanath, is witnessing a triangular contest between the BJP, Samajwadi Party's Pravin Nishad and Congress leader Sureetha Kareem. The Phulpur Lok Sabha seat fell vacant after Keshav Prasad Maurya was appointed the Deputy Chief Minister of Uttar Pradesh after the BJP's massive victory in 2017 state assembly elections. The seat is witnessing a triangular contest between BJP's Kaushalendra Singh Patel, Samajwadi Party leader Nagendra Pratap Singh Patel and Congress leader Manish Mishra. Phulpur is a triangular contest between BJP's Kaushalendra Singh Patel, Samajwadi Party leader Nagendra Pratap Singh Patel and Congress leader Manish Mishra. The seat was vacated after Keshav Prasad Maurya was appointed the Deputy Chief Minister of Uttar Pradesh after the BJP's massive victory in 2017 state assembly elections. With an aim to present a united front against the BJP, the Bahujan Samaj Party and the Samajwadi Party (SP) joined hands. While Adityanath called the BSP-SP partnership for the bypolls an "unholy alliance", Samajwadi Party (SP) chief Akhilesh Yadav said the polling day will "change and re-write history". After casting his vote in Gorakhpur, Adityanath had claimed that the BJP was getting a widespread support from the people, while Maurya had said his party would win both the seats. The bypolls were necessitated after Uttar Pradesh Chief Minister Yogi Adityanath and Deputy Chief Minister Keshav Prasad Maurya vacated the Gorakhpur and Phulpur Lok Sabha seats respectively, following their election to the state legislative council. 19.61 lakh voters in the Phulpur Parliamentary constituency, while the Gorakhpur Lok Sabha seat has 19.49 lakh voters. The voter turnout was 47.45 per cent in Gorakhpur and 37.39 per cent in Phulpur in Sunday's polling. Ten nominees were in the fray from Gorakhpur, while 22 candidates contested from Phulpur.